One of the primary goals of our team is to save as much of your natural smile as possible, and only replace when necessary. However, when teeth are damaged, cracked, or decayed, it’s crucial you contact our office as soon as possible. Without proper treatment, something seemingly minor can escalate into a significant oral health issue. At Plaza Family Dental Group, we know what it’s like to be a patient in need of restorative care. That’s why we make every effort to help maximize your comfort and build a trusted relationship with every individual we see. Don’t let a dental injury or discomfort get in the way of your every day, call our practice today! Air Abrasion: is used as a non-invasive method to pinpoint and remove the earliest signs of decay while helping preserve as much of the tooth structure as possible. Composite Fillings: are applied to repair minor dental cracks, fractures, or other damage to the biting surfaces of teeth. We can shape the white, composite material to match with your surrounding teeth. Porcelain Crowns: are not only discreet, but they are also versatile and can be used to complete or correct numerous oral health complications. Crowns fit over a treated tooth to protect against reinfection, halt further decay, and persevere what’s left of the tooth’s structure. Inlays: are similar to a traditional filling and fits inside the top edge of a tooth for an effortless and discreet repair. Onlays: are more extensive and extend over the cusp of a treated tooth for optimal coverage. Root Canal Therapy: is one of the last lines of defense when decay or infection threaten the health of a tooth. The contamination is removed properly by our specialist, Dr. Dao, to ensure no further damage invades the inner workings of the tooth. Extractions: are necessary when an affected tooth is past the point of saving with root canal therapy. We perform gentle extractions to restore optimal oral health. When a tooth is lost due to decay, extraction, injury, or as the result of severe gum disease, we provide several replacement options. Dental Implants: are body-safe, titanium posts that serve as artificial tooth roots which are placed into the jawbone. They stimulate the jaw, prevent against bone loss, and protect your oral structure. Fixed Bridges: can replace up to 3 missing teeth in a row. They are anchored to the adjacent teeth using crowns on each end. Dentures & Partials: are restorations that replace multiple missing teeth or an entire arch. 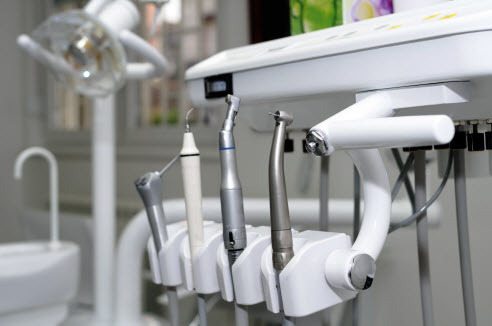 They can be fixed in place with metal brackets, dental adhesive, or dental implants. At Plaza Family Dental Group, we want every patient to feel comfortable and confident. Most of all, we want to make a difference in the way you smile. Call our Carlsbad office today to schedule your restoration consultation!